Funeral homes provide a professional service by organising all of the different elements that go into a successful funeral. Our staff will take care of all your wishes during the entire funeral arrangement process. This allows for your family to spend time to grieve your loss rather than worrying about planning a funeral. Our clients have found it extremely comforting to speak with us and make funeral arrangements via our funeral home. We are experienced and have all of the necessary facilities and processes documented. With the long list of funeral arrangement tasks to be made, and the legal formalities to be completed. Many people feel that this can be a daunting task amidst emotional distress. Our funeral home will ensure that these tasks are taken care of professionally so you do not need to take on the added burden. Every funeral is different and this needs to be taken into consideration during planning. 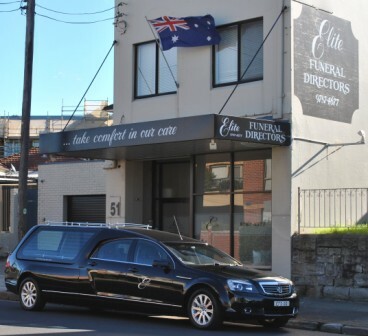 All of these considerations can be discussed either on the phone, we can come to you or you may prefer to visit our funeral home located in the inner-west suburb of Canterbury in Sydney. After our initial discussion, we will take care of planning and guide you through the process every step of the way. We understand that a well managed and beautiful funeral is a great source of comfort to grieving family members. You can depend on our funeral home to provide you with a positive and professional experience when planning your funerals.